Bosch Americas head Werner Struth discusses how Bosch wants connected tech to make a better life for all. For many, this quote could seem obvious. Companies from Amazon to Xerox have been working on just that for years but the reason why it’s salient here, and now at CES 2017, is because Bosch’s commitment to the principle seems to be touching its entire line of products from the nearly Jetson’s-like Kuri robot, to the dish washing machine, to the industrial equipment used to create consumer products. It’s important to mention that connected appliances have been around for years. Whirlpool and Samsung and LG all have them. They’re fancy and premium and some connect to other partners like Google’s Nest Thermostat. 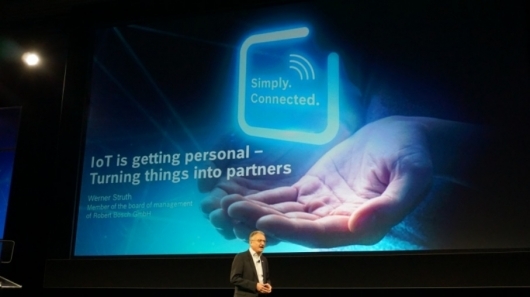 Struth did manage to astound by saying that Bosch’s entire product line would be connected by 2020. 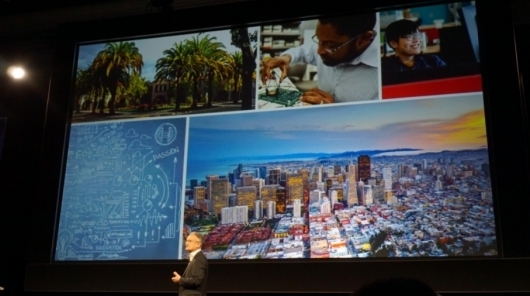 Put another way, in the next four years, Bosch will not just create a “signature” connected device line or a “premium” connected device, as is the case with some OEMs, but rather every single product in the Bosch line, from their low end (if Bosch has such a thing) and all the way up to their premiere products will be tied to the Internet. Why not limit connectivity to a few devices that consumers are paying a premium for? This does a few interesting things for Bosch. First, when you put wireless hardware into all of your products, that means working at great scale. Yes it means that your wireless hardware will be cheaper as you purchase it in ever larger bulk quantities, but it also means that Bosch is incented to focus heavily on getting both the type of connectivity and the interface associated with it as correct as possible — no experiments with an LG HomBot app, for example, followed up by an entire suite of smart home appliances that talk to each other and yet not that smart vacuum… which is, itself an appliance. By taking everything they make and connecting it to the Internet rather than piecemeal adding connectivity, users receive synergy between devices that will allow the connected home to truly become the smart home. Second, if Bosch takes the time and effort to connect everything by 2020, and it’s working well across all of its devices, then working with 3rd parties and strategic partners becomes far easier. By connecting all of the elements of its own house, Bosch shows the world that this “connectivity thing” isn’t some sort of add on, but it solidifies the functionality as one of their core competencies, drawing more and more partners out to link up with them in a virtuous cycle that keeps their products and brand name in prominent spaces within the marketplace. 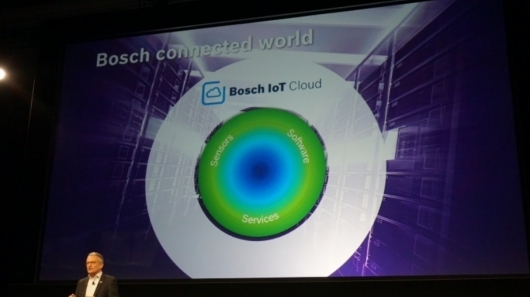 Third, Bosch is setting itself up for an important part of the service economy. When everything is connected, the cloud services that run security, functionality, and maintenance updates become an essential part of the product. These fees, which could be de minimis on the individual level but massive when aggregated across all users, consumer, and business customers, it could build an entire new, monthly recurring revenue stream for the company that has such wide reach. 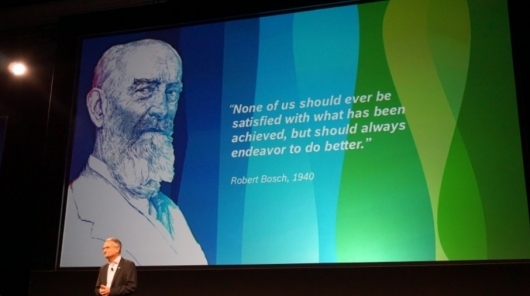 Fourth and final, Bosch recognizes an opportunity with connectivity in terms of not just making a more sophisticated product, but in making a more durable, hardier, better product. Imagine 100,000 clothes washers in the marketplace, sending data back to Bosch servers after every run. This data would let the manufacturer understand how the devices are performing, where they are excelling and where they’re breaking down. The data allows them to see trends in component hardiness, so perhaps, hypothetically, that part of the machine that was manufactured in Stuttgart is wearing more than the other version of the same part made outside of Berlin. Bosch can understand how the parts are different and how it might be worth it to upgrade Berlin’s manufacturing process to the one in Stuttgart. The data could give them insights into when machines should be maintained in order to work best, and also help them understand the quantities in which they need to keep replacement parts on hand for parts that can’t help but wear and tear with regular use, like the rubber gaskets in front loading clothes washing machines. To sum up, connecting everything will help the manufacturer to recognize their weaknesses through compiled and derived data, and then innovate away from those weaknesses in order to make a better product. 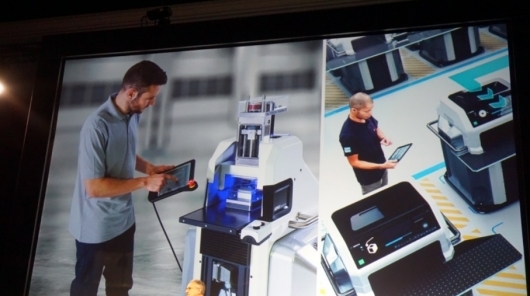 This isn’t limited to next generation hardware improvements — understanding how a device breaks down under certain conditions could mean keeping those devices and their components in better shape longer through software and firmware updates that use the machines differently. If you can prove that your product will last for ten years instead of six, then you can charge more for it. More important than charging more for the product, you can convince more consumers that your product is hardy, will last longer, and be just that bit more worry free. 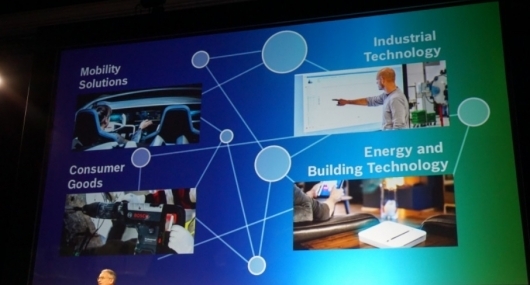 Which is what every consumer wants — especially when it comes to industrial use, which was a focus for Bosch, who announced their intention to be a major player in not just the IOT space, but in the “I.I.O.T.” space. That extra capital I? It means Industrial. In this way, Struth and Bosch have managed to sum up a lot of what matters here at CES 2017. It’s not about the killer product. We’re at a point where clothes dryers all dry clothes pretty well. It’s about how can that dryer make life a little easier? Can it start the cycle when your sensors know you’re out of the house? Will that be reliable? Or will you have to babysit some app? 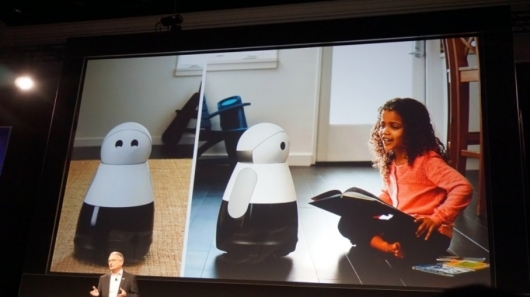 Will it talk to other things in your home? 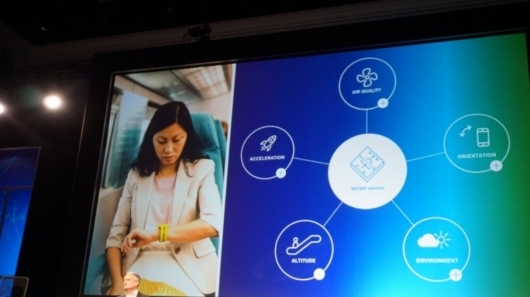 CES 2016 spoke a lot about connected this and that. CES 2017 is about the AI layer that makes your connected stuff, whether in home or in business, smart enough to free you up to maximize your personal productivity. #SmartHome? Meet #SmartLife. • The Drill Down 466: To The Moon!